This Meet Cute Quilt designed by Preeti Harris of sew Preeti Quilts for Modabakeshop, The Tutorial is available for free. 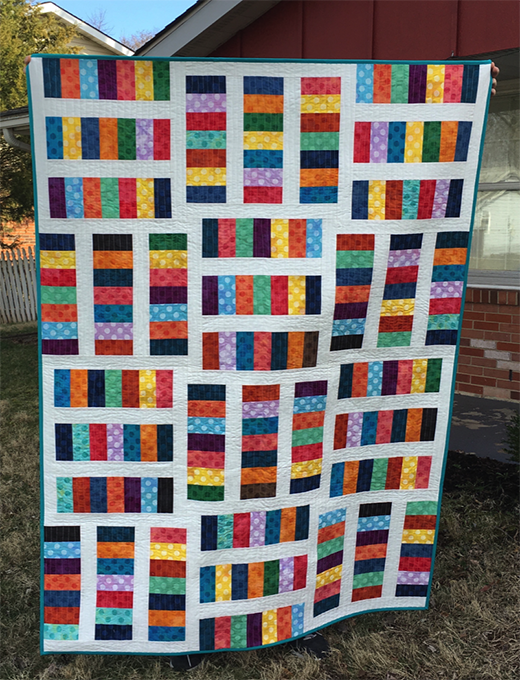 "This is a simple colorful quilt with large blocks. It has no seams to match and with the large block pattern it takes just four blocks to make a baby quilt. A lap quilt uses 12 blocks."